A view of Lake Tahoe from Alpine Meadows. 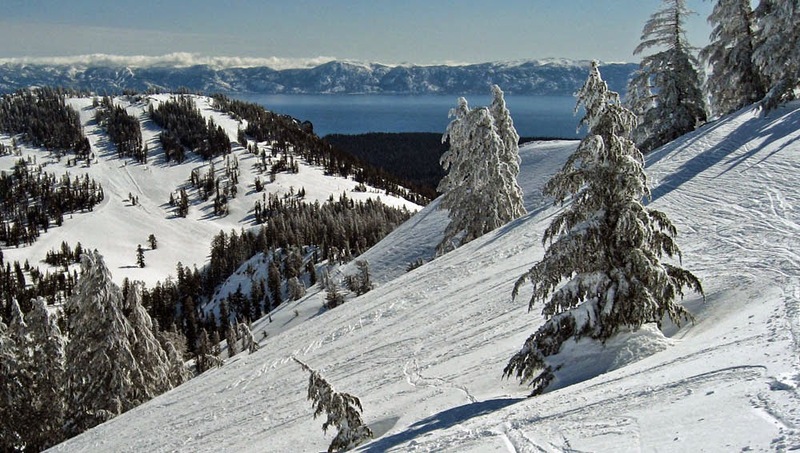 Squaw Valley Ski Holdings, LLC announced Monday that it has reached an agreement with the owner of private land located between Squaw and Alpine to create a base-to-base gondola connection between the two resorts. The connection has been a dream of Troy Caldwell, the land owner in-between the two resorts. Caldwell entered a partnership with Squaw Valley Ski Holdings to allow crossing of the land he calls “White Wolf”. Andy Wirth, president and CEO of Squaw/Alpine said, “For decades skiers and riders have talked about connecting these two world-class resorts.” The high-speed, detachable gondola will allow guests to easily explore both mountains without driving or shuttling between the two. There are no plans being contemplated to allow skiing or other non-skiing activities along the lift route or on the White Wolf terrain. The cable route from base to base would pass over KT-22 Peak. The route is designed to minimize the overall footprint and potential visual impacts to the adjacent Granite Chief Wilderness and the scenic beauty of other areas. For environmental reasons and visual impact, design elements include minimizing the number of lift towers and eliminating the need to construct access roads. The result of these efforts will help reduce necessary timber and vegetation removal. The operation of the gondola will also reduce resort shuttle service and guest traffic between the two resorts. The project is pending review by the U.S. Forest Service and Placer County. The nonprofit "Sierra Watch" will keep a close eye on the project. The two resorts provide more than 6,000 skiable acres with 42 lifts and 270 trails.